Today’s tangle looks like it should be easy. But when you start on step 3, your eyes can be dazzled by all the lines, and you can lose track of which way to draw them. 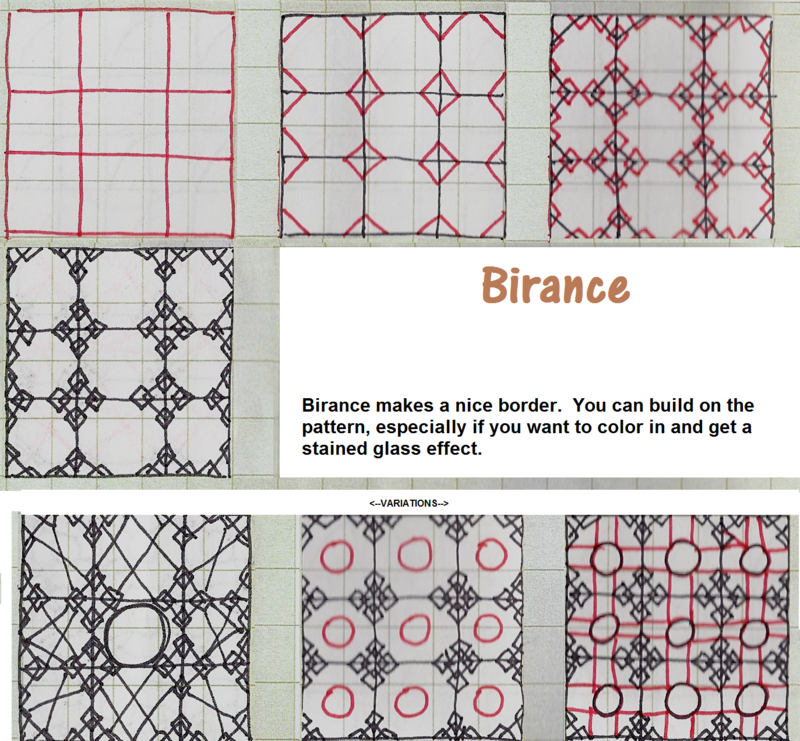 Possible ways to avoid that are turning your tile, working in two different colors, or covering part of the finished area as you go (or all 3 of these). Once you become familiar with the tangle the disorientation should go away. The example I’ve posted is from a zen I have just started. Noted how loosely I’ve drawn the diamonds and lines. It’s okay to do that, and it will help you from getting frustrated while you learn. One day when you are zipping along and suddenly realize the pattern doesn’t get confusing anymore, you can try precision. If you even want to by then, lol! 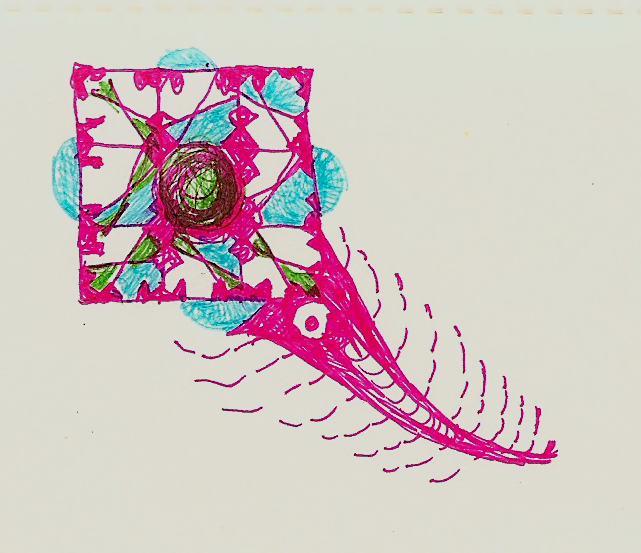 May I use this zentangle on my blog? I could add you to my link list and my blog list. I made a page for some original designs.